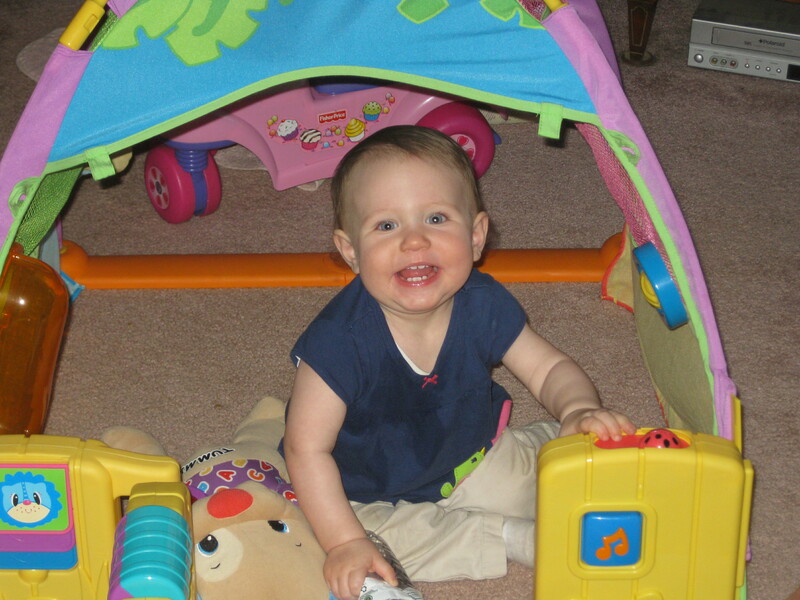 We typically return to Michigan in early summer to take care of doctor appointments and other “housekeeping” matters. In March, I discovered I had developed cataracts and they were starting to affect my vision. 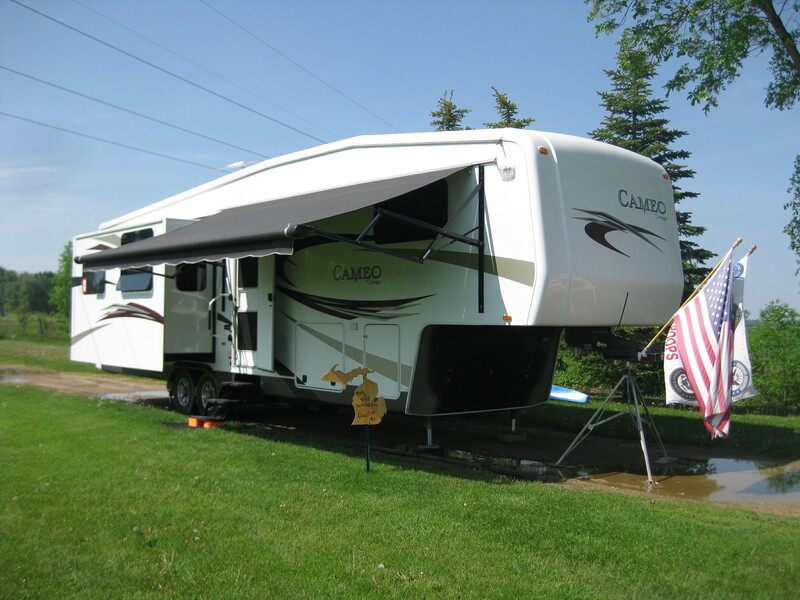 While cataract surgery has developed into an outpatient procedure, we wanted to prepare for the worst case scenario and not have to leave a campsite before my eyes had recovered. Pat’s brother lives and farms in Bad Axe, we camp in his backyard and we have an open-ended invitation. So, Bad Axe, MI appeared to be the best option. We were able to get an appointment in late May for the initial consultation, but couldn’t schedule the surgery until after the May appointment, so I had to wait until the end of June for the first eye and July 10th for the second. Life on the road does present some unique challenges! Memorial Day weekend was spent at the cottage near Rose City. It is always nice to see Pat’s family again. Of course the family member that steals the spotlight is our newest niece, Addy. She is our favorite center of attention. 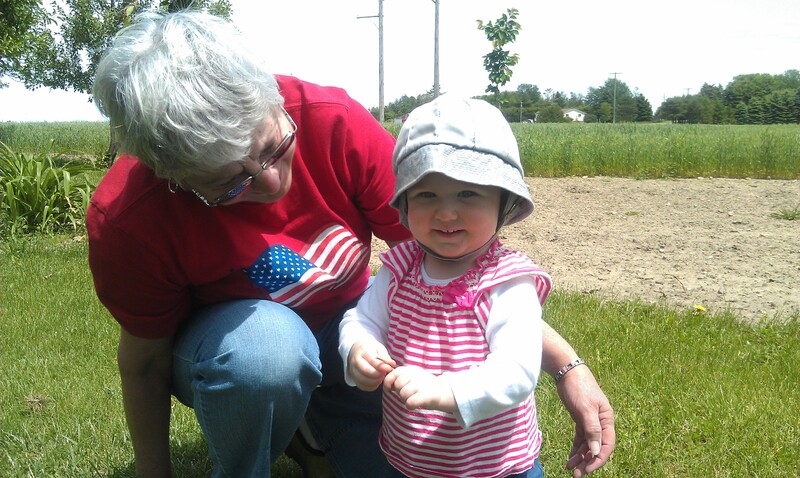 Back at Geri and Marcia’s, we enjoyed some unstructured relaxing time. We tried to make ourselves useful by taking care of some of the tasks that needed to be done at the house and the farm. Pat helped out in the kitchen and garden and I took care of some painting and my new favorite chore – mowing their huge lawn. I never had the need for a riding mower before and it was a fun job. Geri and I are both amateur wine makers and we had purchased some kits he had asked us to pick up while we were in North Carolina. 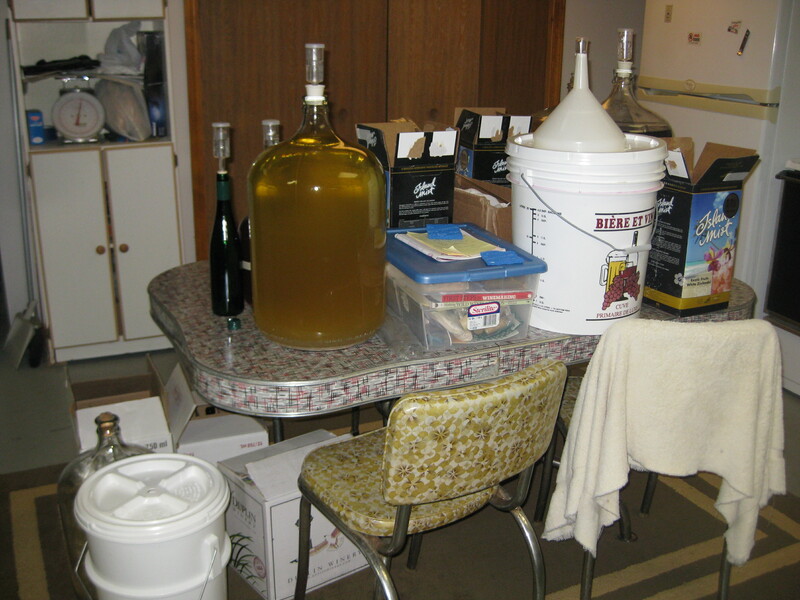 By the end of the first week we had 95 bottles of wine in various stages of fermentation. We wondered if that volume would mean we would have to get a liqueur license! 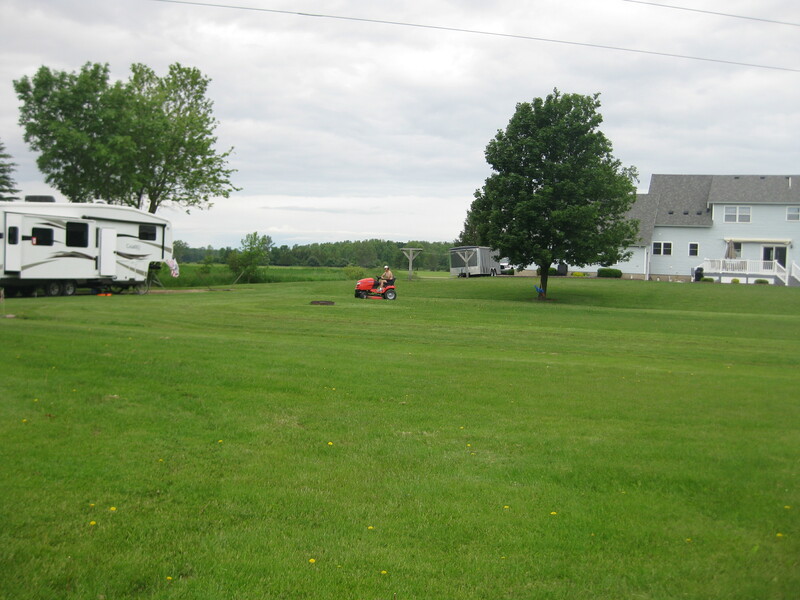 In North Carolina we had identified a problem with our refrigerator and stopped at Marlette RV in the small town of Marlette, MI on our way to the farm. They made an interim fix and ordered the parts we needed. We set it up to take the trailer back to them the day before we left the farm and pick it up on our way south the following day. Their service was professional and they kept us informed of everything they were doing along the way. When we picked up the trailer, they walked us through everything they had done, why and how they did it so we would have to clear understanding of the entire situation. 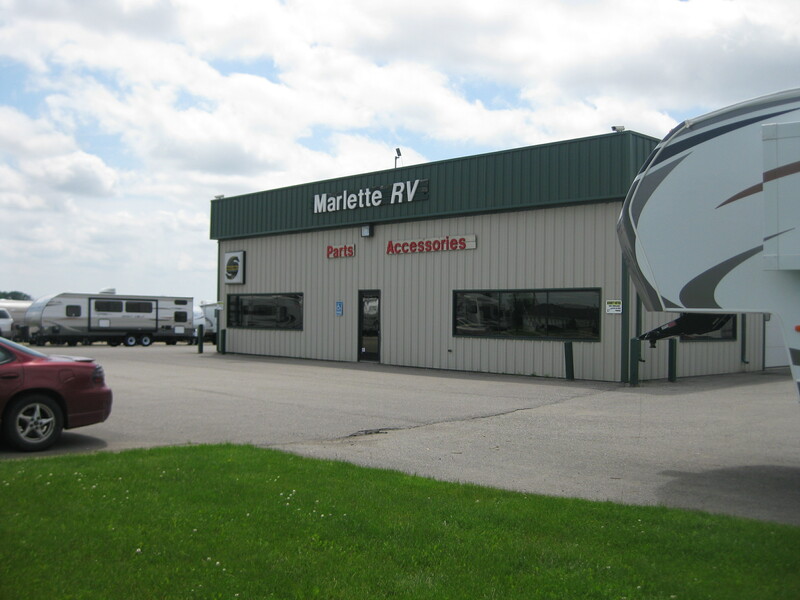 If you are in the “Thumb” of Michigan and need some work on your rig, I recommend Marlette RV. 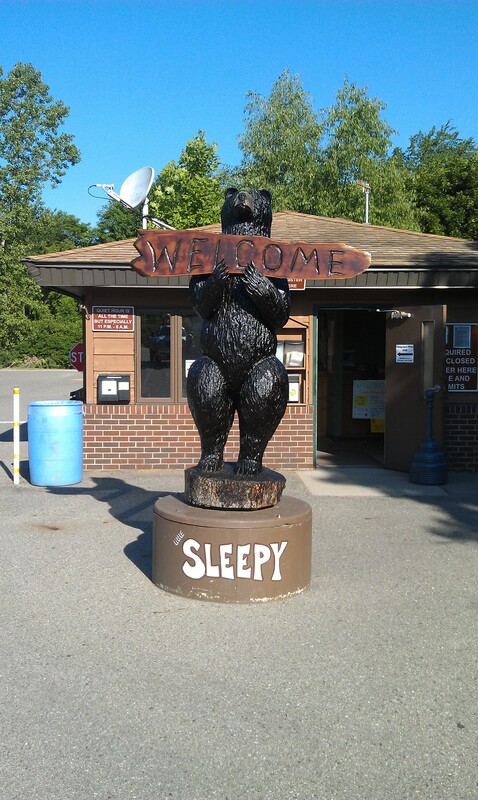 On June 11th, we pulled into Sleepy Hollow State Park, north of Lansing. We had appointments set up for doctors and dentists, financial advisers, etc. We needed new tires for the truck and had a “check engine” light on the truck that had to be addressed. This trip to Lansing is a time to take care of all of these things and to see friends from back home. Sleepy Hollow is a nice state park. There are plenty of trees between most of the sites that give you a sense of privacy. Some of them are open enough so if you have two or three families that want to camp together they can get on adjoining sites and can have a common area between. We had a chance to share some of our RV/camping expertise with fellow campers, one who had some problems with his electrical hookup and a couple of moms who needed some help in fire building. It gives you a nice feeling to know that you have been able to help others enjoy their outdoor experience. We pulled out on Monday, June 24th to drop off the trailer at the cottage and head back to Bad Axe for my first surgery. 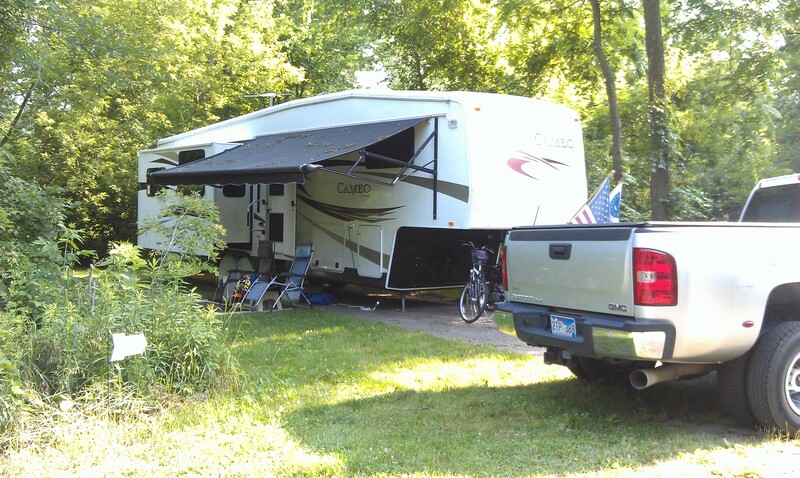 This entry was posted in Fulltime RV, Michigan, Michigan Traveler and tagged Bad Axe, fifth wheel trailer, full-time RV, fulltime RV, Marlette RV, Rose City, Sleepy Hollow State Park. Bookmark the permalink.